When the cold weather hits it’s always a shock to the system, but now the cold snap has arrived with a vengeance, your skin might be feeling the effects. It could be tight chapped cheeks or a sore nose following a cold, or perhaps cracked lips that don’t seem to improve no matter how much lip balm you slick on. Whatever the issue, when the cold weather strikes, you’ll need to give your skin some serious TLC to get things back on track. 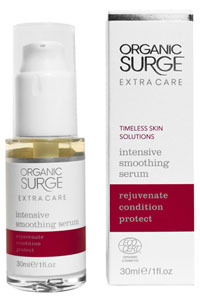 Dashing in from the cold outdoors to warm and toasty central heating can leave skin feeling parched and dry. Rehydrate by adding a serum to your usual skincare routine, and protect the skin when you are outside with a rich daily moisture cream. Boost your routine with the addition of nourishing face mask to add some extra moisture too. Some moisturising masks can even be put on at bedtime and left to soak in all night for a super intensive moisture boost. If you are under the weather with the winter snuffles, then our cold relief bath oil or bath salt with the decongestant scent of eucalyptus is just the thing to help you breathe more easily. 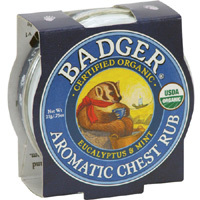 And if you have fond memories of mum rubbing Vick on your chest for coughs and colds, take a look at our Aromatic Chest Rub, a gorgeous warming & decongestant aroma in a totally organic formulation. Conventional lip balms based on petroleum oils and synthetic fragrances are usually the chief culprit for cracked and sore lips that never heal. Opt for an organic lip balm packed with natural oils that actively nourish and soothe the skin and see an immediate benefit. From £2.95.